This is the beautiful Dallas, Texas Temple of The Church of Jesus Christ of Latter-Day Saints. 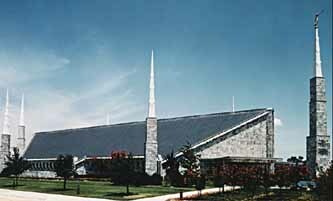 Kelly and I were married here for time and eternity on June 27, 1992. Kelly and me on our wedding day. It rained all morning, then the sun came out for the pictures, then it started raining cats and dogs again when we were finished!